Try these Dolce Gusto® compatible "Well-being Tea" capsules. 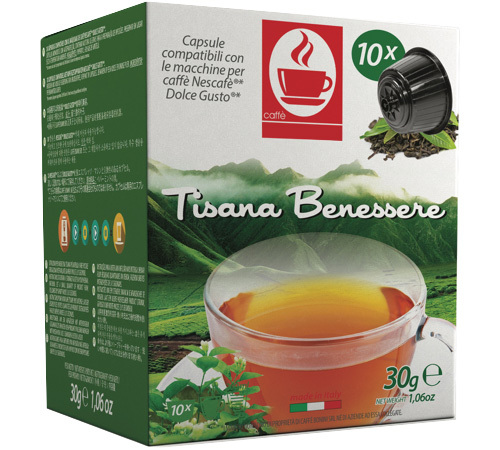 These capsules deliver a rich, pleasant tea infusion. To be enjoyed at any time of day for some "me time". 1 box of 10 capsules. This Ceylon black tea from Mokador Castellari is compatible with machines made for ESE pods.